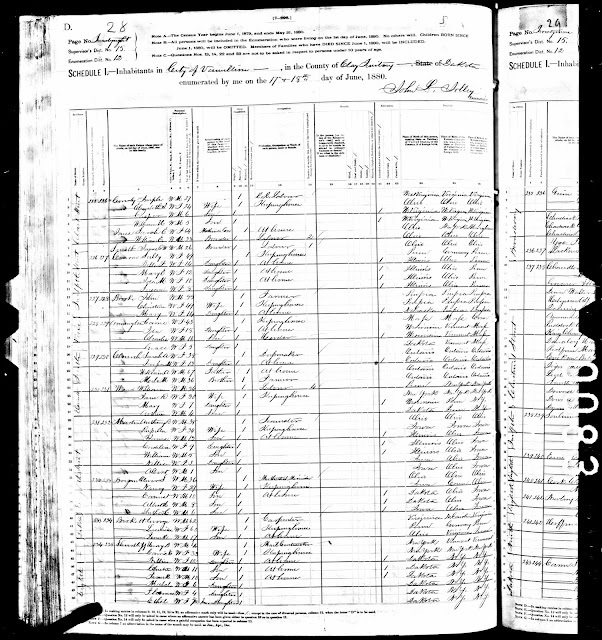 1880 United States Federal Census, Dakota Territory, Clay County, population schedule, Vermillion, page 401D, house #227, family #228, John Briocke household, digital image, Ancestry.com (http://www.ancestry.com); citing National Archives Microfilm Publication T9, Roll 112. By 1880, the four oldest children have moved out of their parents home, and started their own families. 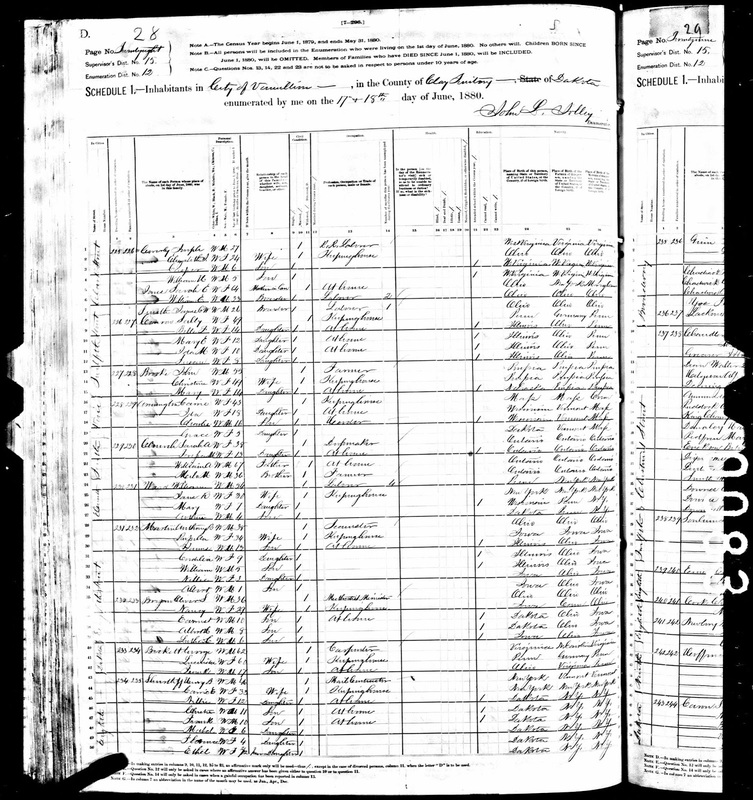 John Peter Brocke (1826-1891) is my wife's 2nd great-grandfather through his son John Nicholas Brocke (1855-1938) who married Anna Grieser in 1877 in Cedar County, Nebraska.